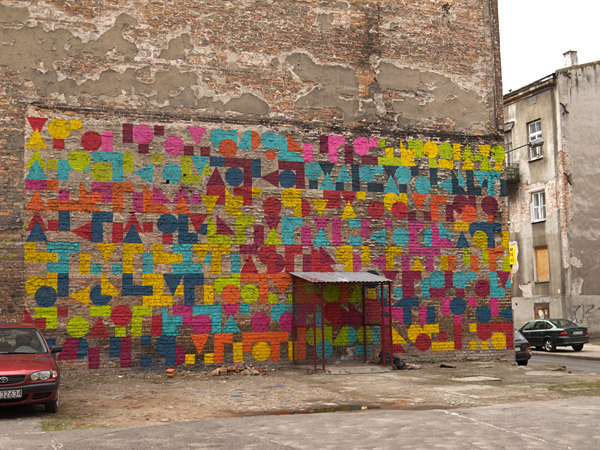 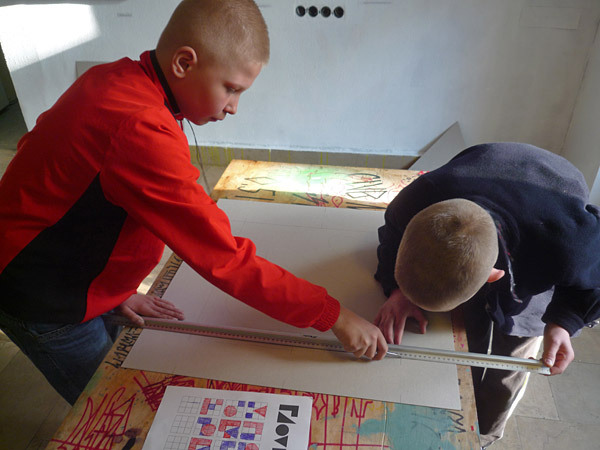 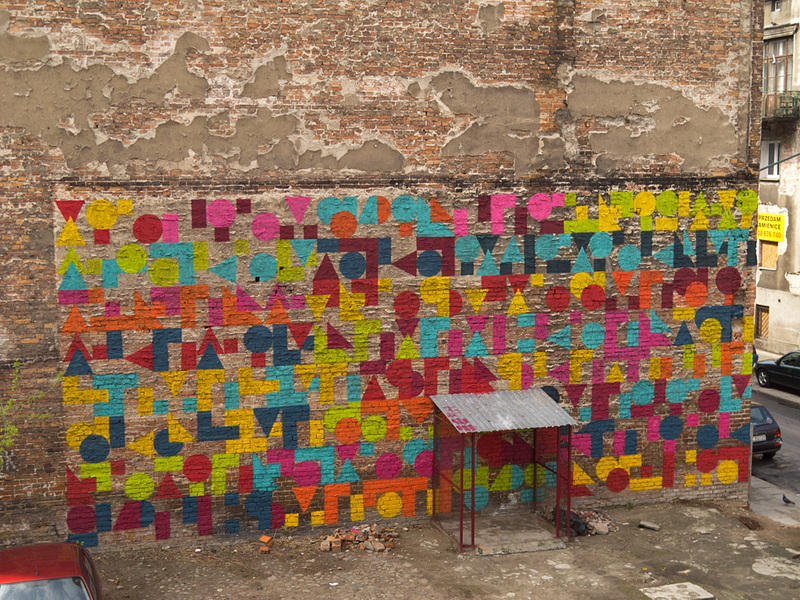 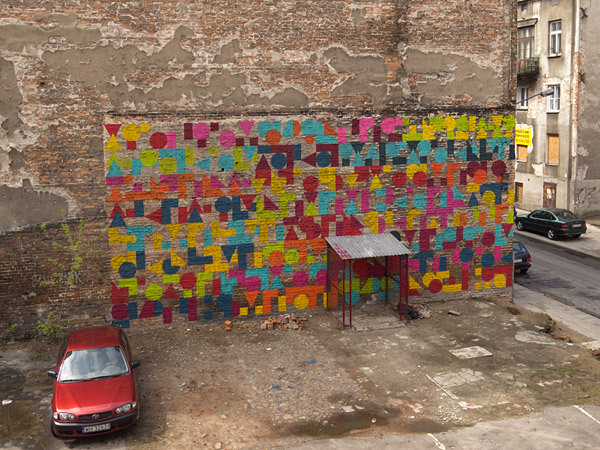 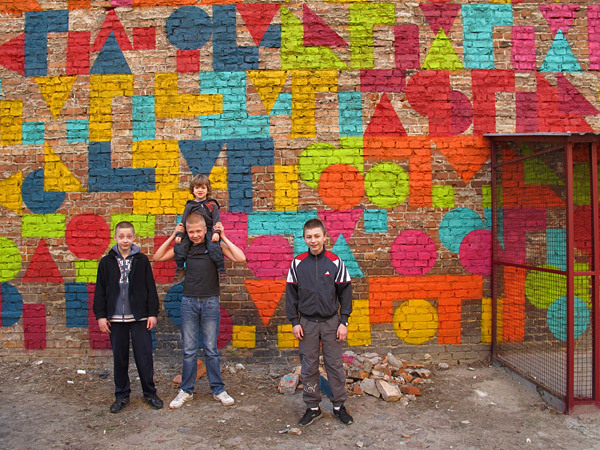 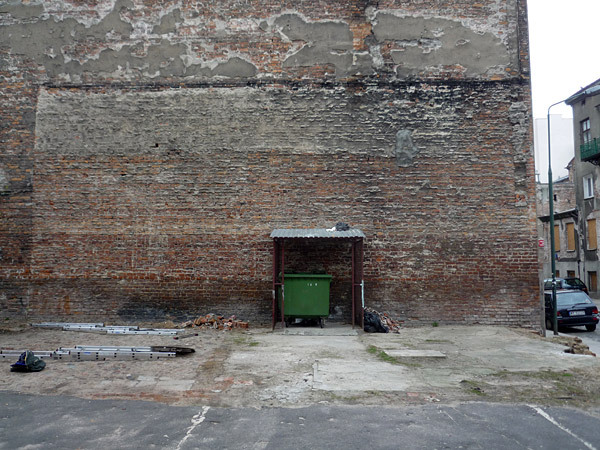 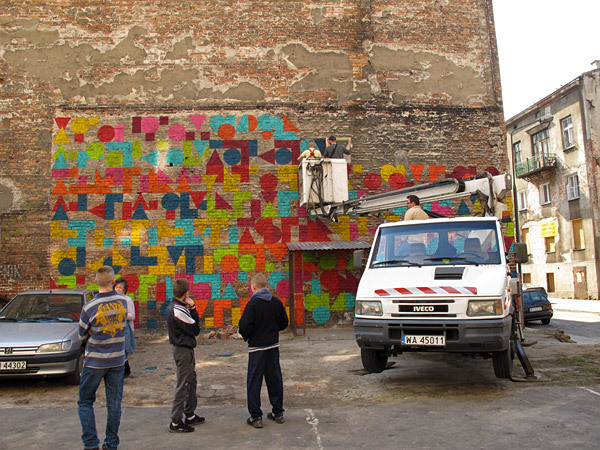 During April 2012, I worked on a social project with kids from the Praga neighborhood in Warsaw. 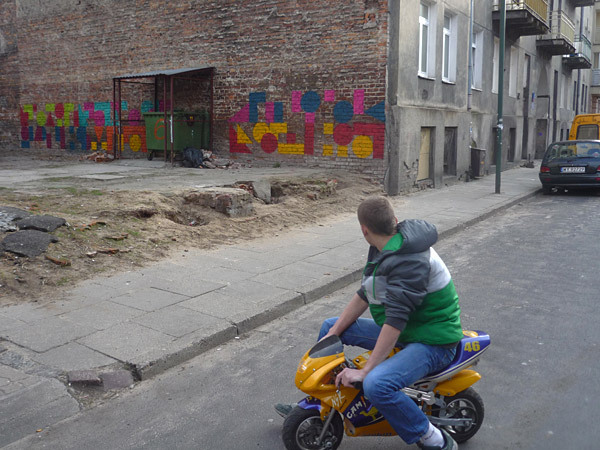 Because of their social environment and other factors, they don’t have an easy life and spend most of their time hanging out in the street. 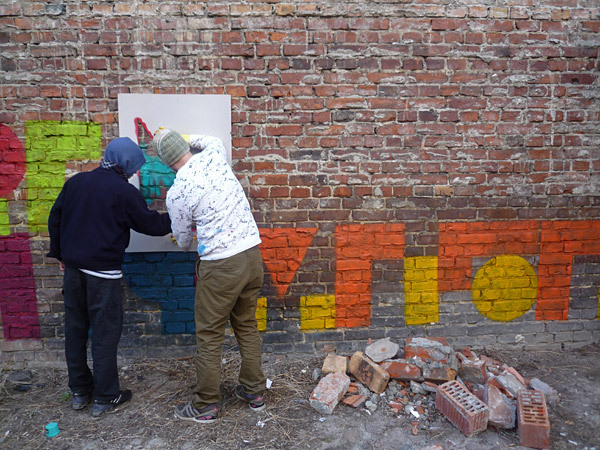 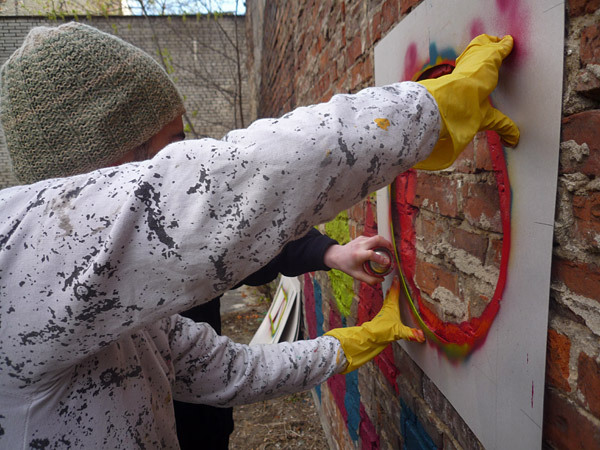 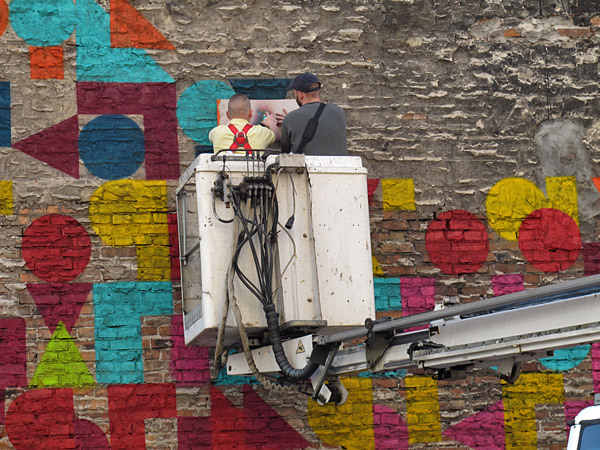 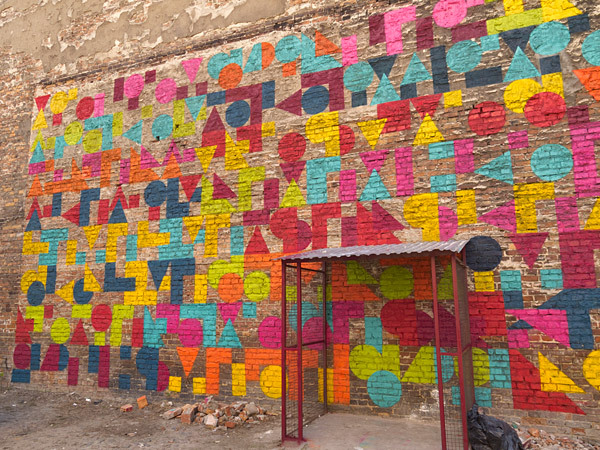 The Vlepvnet Foundation and the GPAS association organized the project, This Way to give them an opportunity to collaborate with contemporary artists and create a mural in their neighborhood. 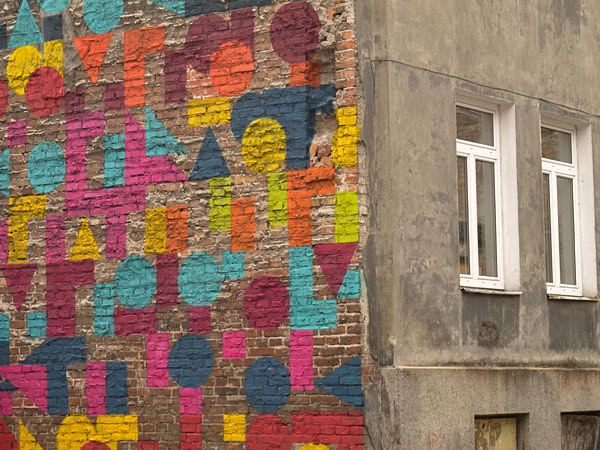 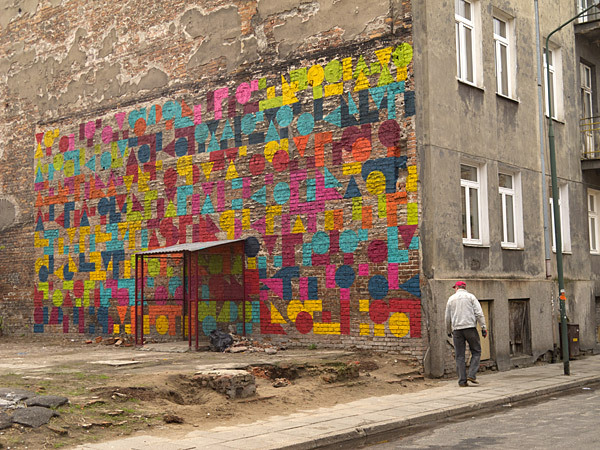 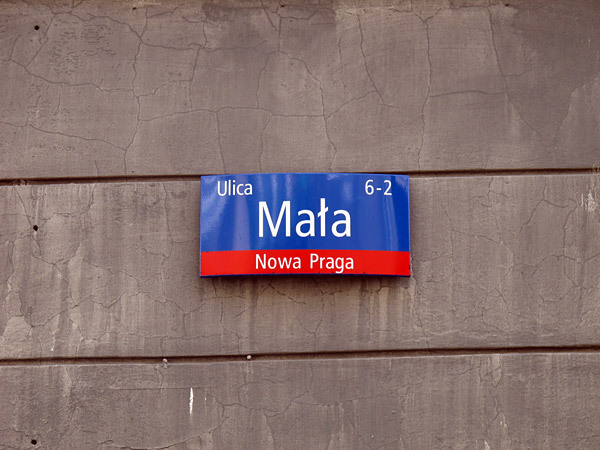 Our mural was painted on Mała street. 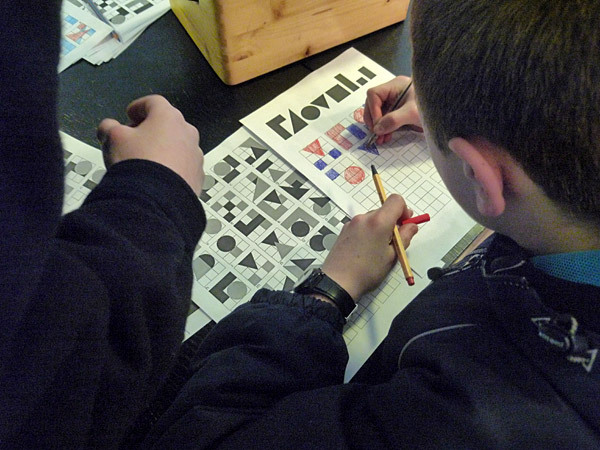 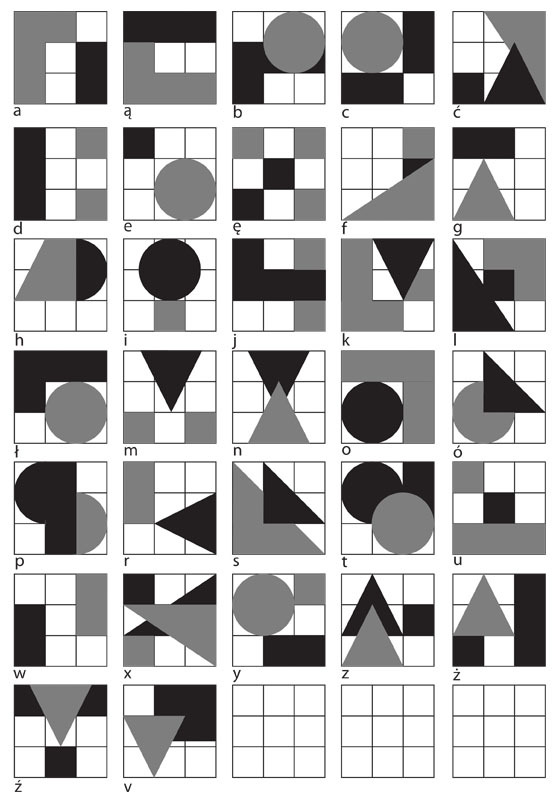 Using their help and input, we created an “abstract alphabet” using simple geometric shapes. 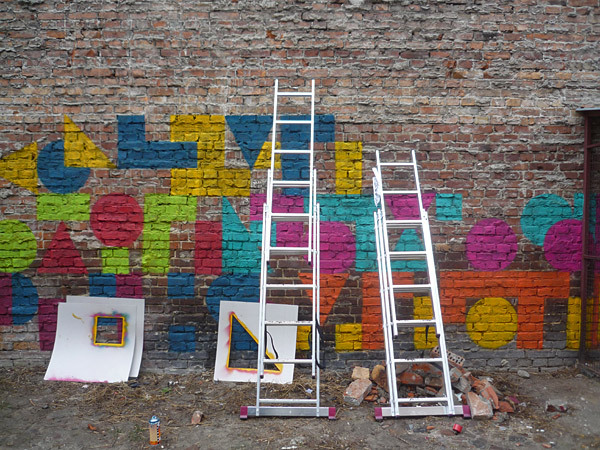 Then, combining stencils, we painted the words that they chose on the wall. 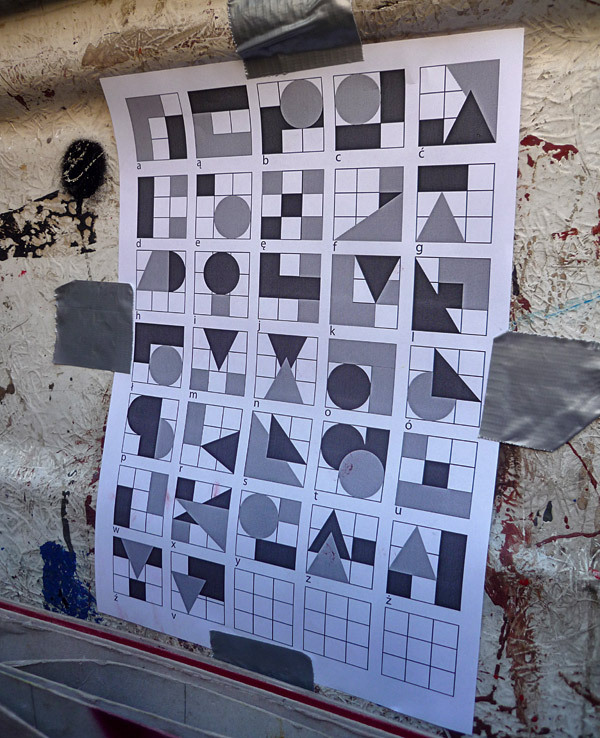 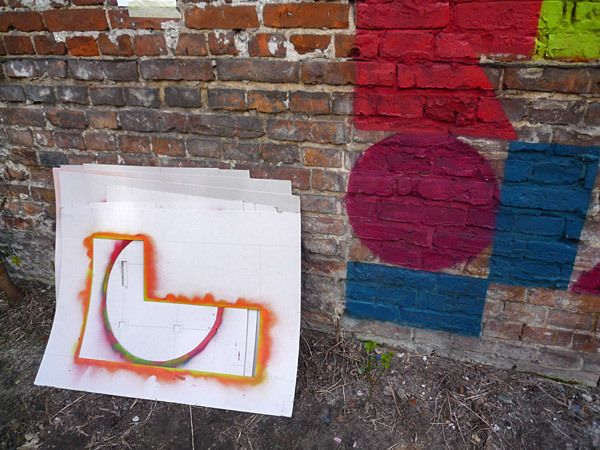 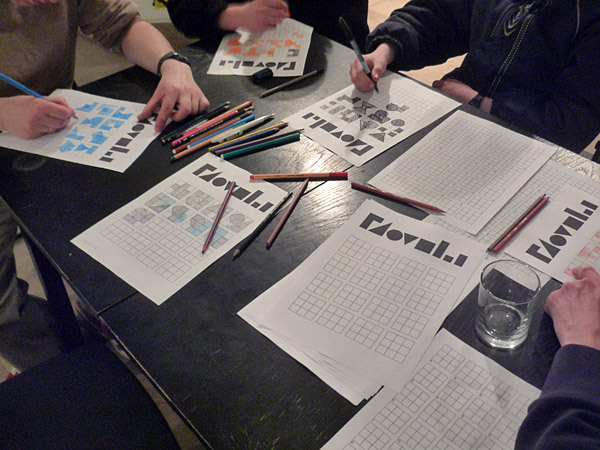 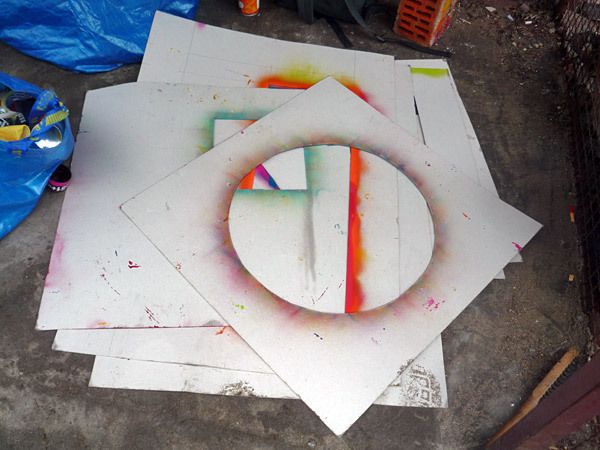 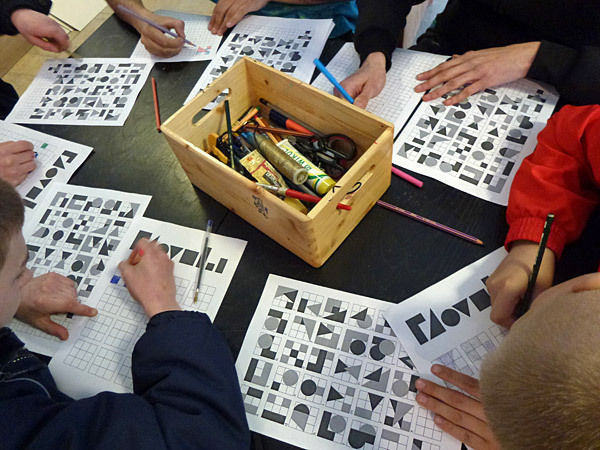 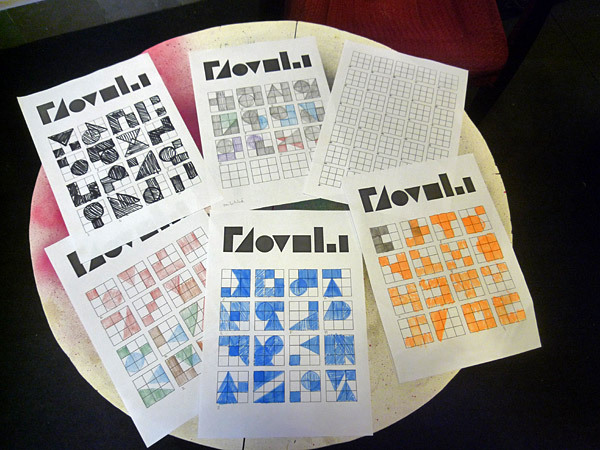 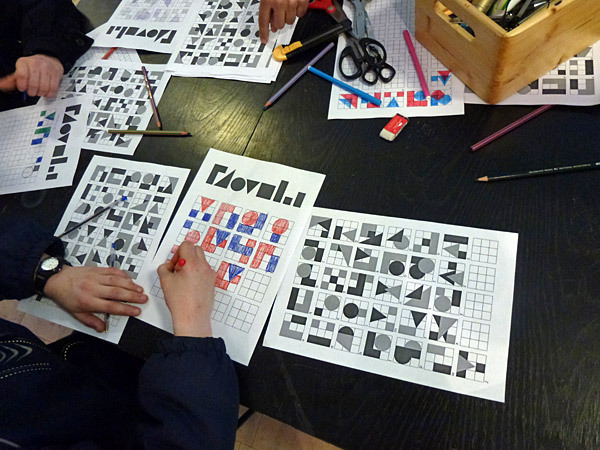 The first two days, we organized a workshop to define the letters of our alphabet and to cut the stencils. 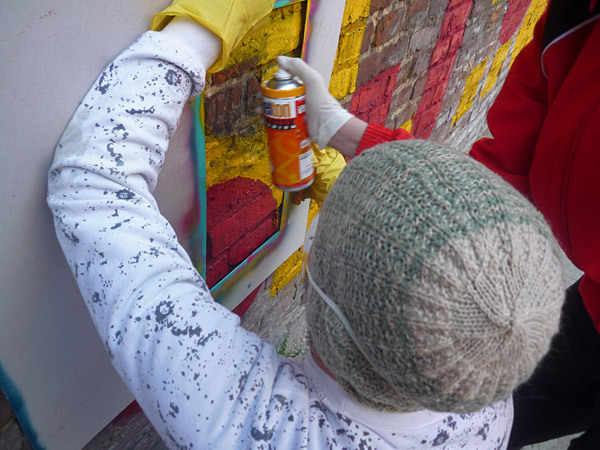 During the next 5 days, we completed the mural using the words and sentences that the kids chose. 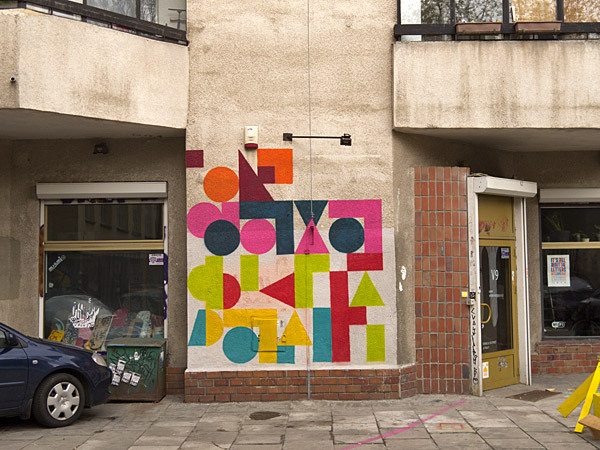 Click on the picture to see a bigger image of the mural. 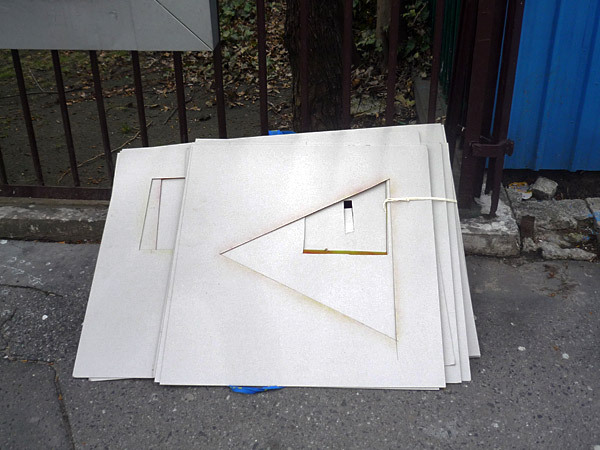 The last day, we painted the entrance of V9, the Foundation Vlepvnet headquarter. 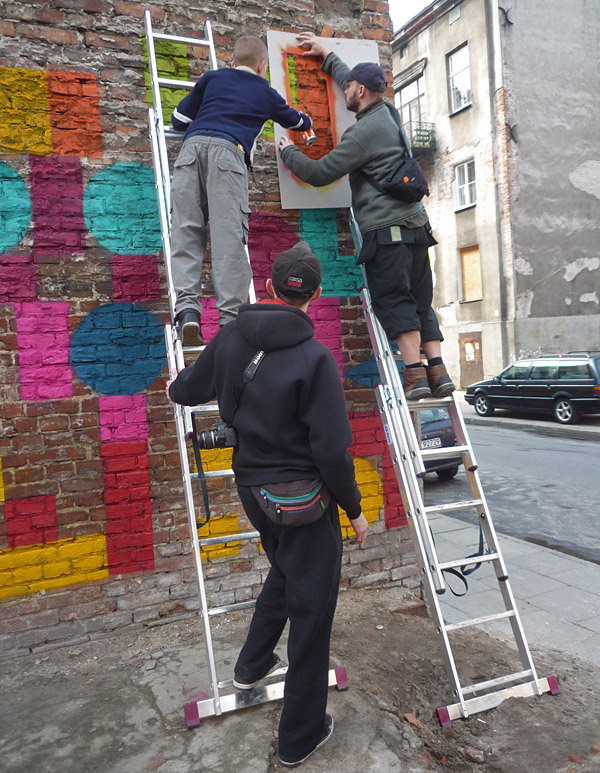 Thanks a lot to Vlepvnet and GPAS and in particular to Mati, Mateusz, Maciek, Gołota, Goro, Zrazik and Tomek.